Okay, in all fairness I’m not really mad at feminists- I just wanted to point out that these complaints are not coming from a place of knee-jerk, righteous feminist indignation, because that’s so not my thing. I am, however, mad as hell at Square Enix. I was tempted to put up a long rant chronicling everything I hate about the game SO FAR, but I realized it would probably be more appropriate- though painful- to finish the game before writing that rant. So, this is just notice that a serious rant is coming. Just for the record, I don’t think T3B fails completely and utterly as a videogame- there are things to shoot, and you can have some limited fun shooting them. 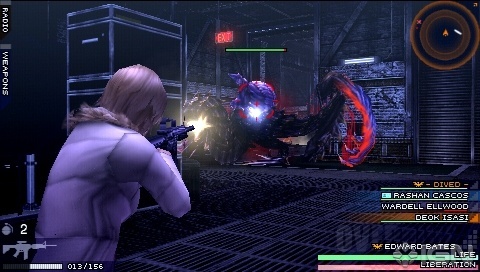 And the DNA board isn’t bad, and may I say, not entirely un-Parasite Eve like. But everything else? Dear God. So- Tokyopop is going to cease publishing manga shortly. There’s already plenty of commentary on Tokyopop’s alleged management issues, and I won’t bore you with my particularly uninformed armchair-quarterbacking. However, the thing I don’t get is why they didn’t wait until after America’s Greatest Otaku was finished airing before they announced it. I mean, I’m not a marketing professional, but isn’t there some kind of logic to how these things are timed? Knowing that the Tpop we knew, and some even loved, is going bye-bye definitely casts a pall on the final episode. I thought it was weird when they announced those layoffs in February right when the show started, but I could see where they didn’t have much of a choice; if they were in as dire straits financially as founder Stu Levy made it sound, they couldn’t exactly lay several people off and then hide it from the world for two months. Granted, a lot of people don’t really care about AGO, so the timing of the announcement is irrelevant to them- but dammit, shouldn’t Tokyopop at least care? Especially considering that their new thing is going to be developing media properties (since the licensing/multi-media dev part of the company is staying afloat), shouldn’t they care about supporting their existing media projects? As I’ve said many times, I’m no expert on Tokyopop or business- it’s possible I have this whole thing completely wrong. But to the casual observer, it certainly LOOKS like they just give up on things before they’re through. Everyone’s favorite magical girl show for people who hate magic, girls, themselves and everyone else they know is returning Thursday, April 21! Yaaay! My hands are tied here, because complaining about Madoka going on hiatus for over a month would seem terribly insensitive in the wake of the events of March 11, but I would be lying if I said I didn’t miss it. From what I’ve seen, there’s been an interesting phenomenon where rabid fans of the show have been refraining from criticizing the delay out of respect for what Japan is going through at the moment- although the rabid desire for the show to return does demonstrate the importance of Japanese culture, or at the very least certain aspects of it, to a global audience. It’s like, clamoring that we miss Madoka in the wake of the earthquake would be disrespectful, but being so into a show airing exclusively on Japanese TV that we’re antsy that a natural disaster pre-empted it displays a different kind of respect, in a way. I don’t know if I can articulate it, but I find it interesting how the fanbase is dealing with that conflict. Anyway, assuming the final episodes do not disappoint, I’d like to do some kind of Madoka-related post that’s more interesting than a simple recap/review; if you have any thoughts, feel free to share them in the comments. At least everyone still loves Madoka. That automatically means everyone hates magic, girls, themselves and everyone else they know as well. I, for one, welcome this new misogynistic, scientocratic, intolerant emo society. 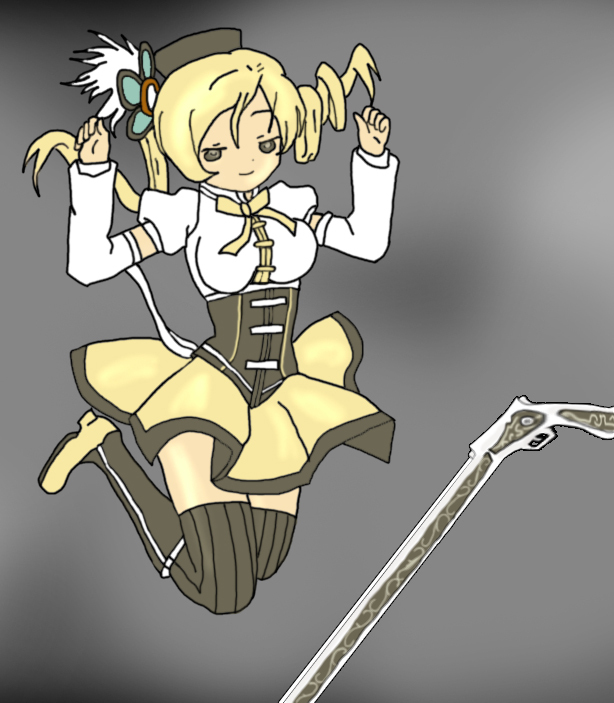 You know I lurve Madoka, but I can’t help pointing out that it’s basically a show for total masochists:). Mixed feelings on TWEWY, I think there was something brilliant there but I found the act of trying to play it so tedious that I couldn’t quite get to it- only played a third of the way through the game. I should watch a playthrough or something and find out what happened. I think my favorite thing about Madoka Magica is that it’s prompting a lot of us to write something “that’s more interesting than a simple recap/review.” For some reason, it’s one of those shows that doesn’t simply capture the viewer’s interest–it makes many of the viewers want to think about what the show is doing, why they find it interesting, and how it’s all being done…I’ll look forward to your post on the subject. Lol tied it into Passover:).